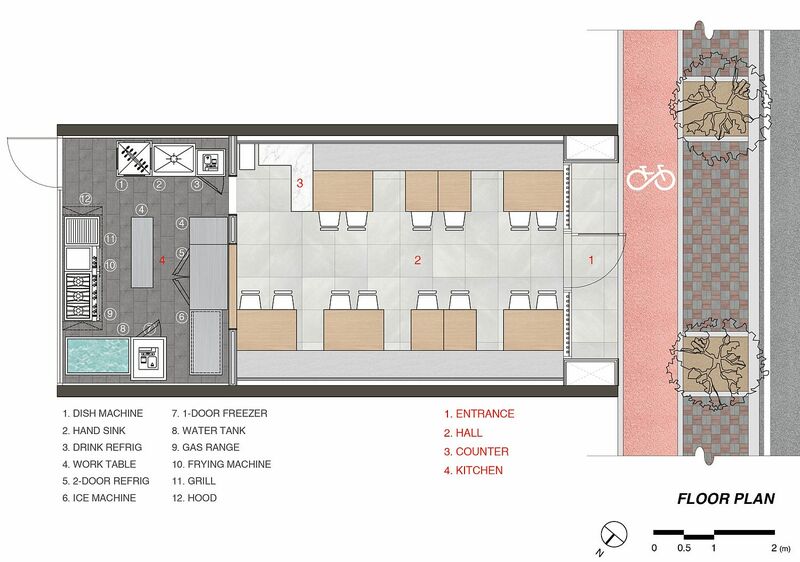 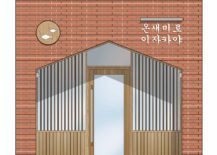 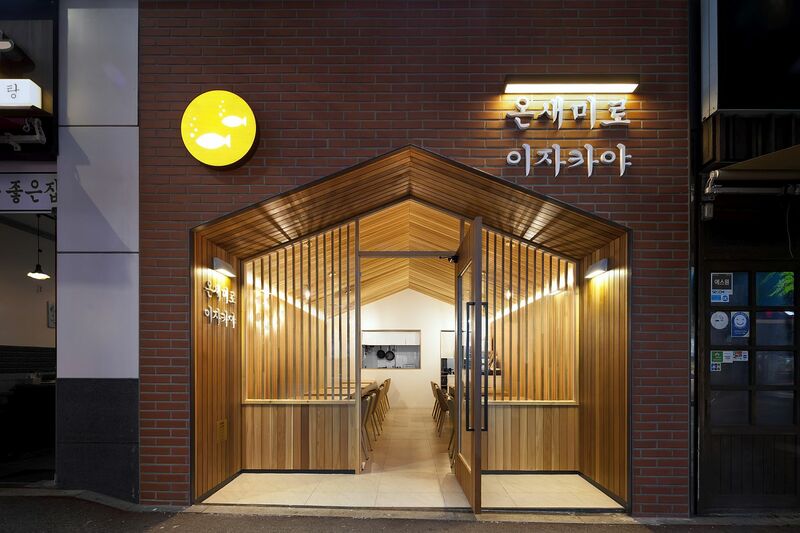 Just under 50 square meters of space does not seem like much for a modern restaurant in a bustling neighborhood like the fish market in Busan, South Korea. 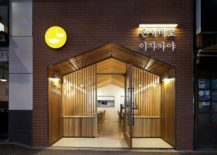 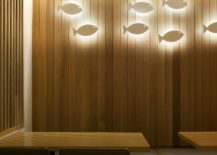 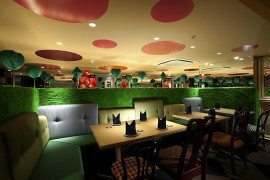 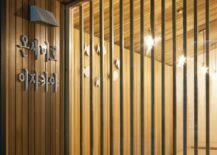 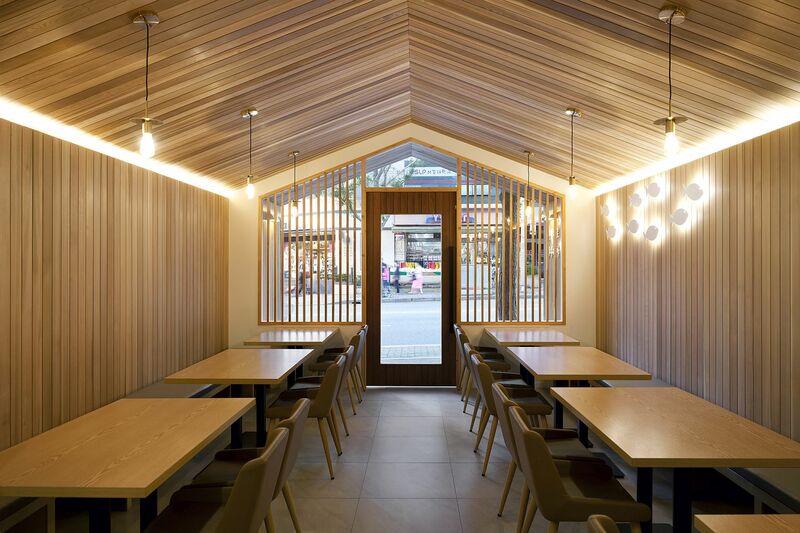 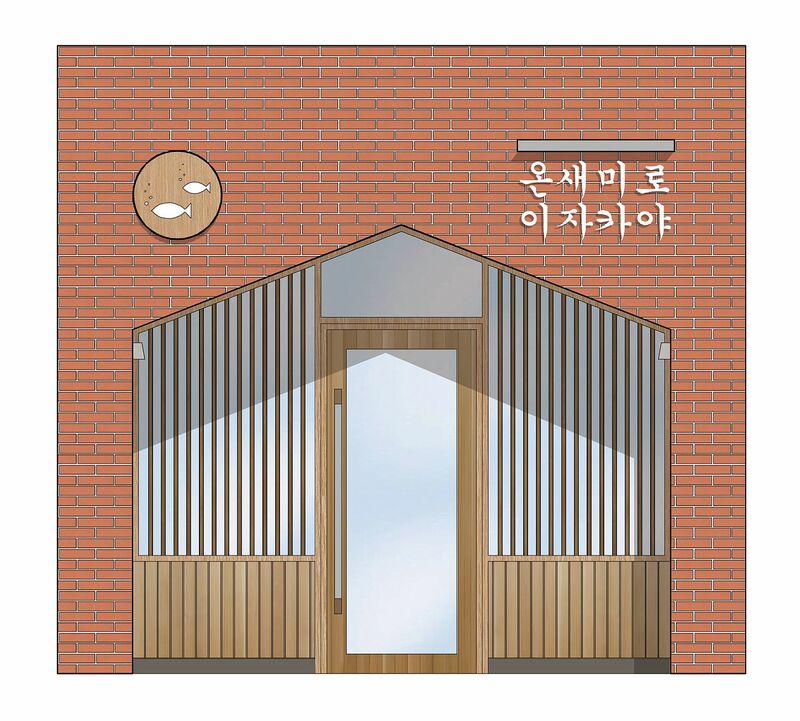 But this was precisely the design challenge that Hyungseung Lee had to overcome with the Urban Cabin – a bright and inviting restaurant with space-savvy design and lovely lighting. 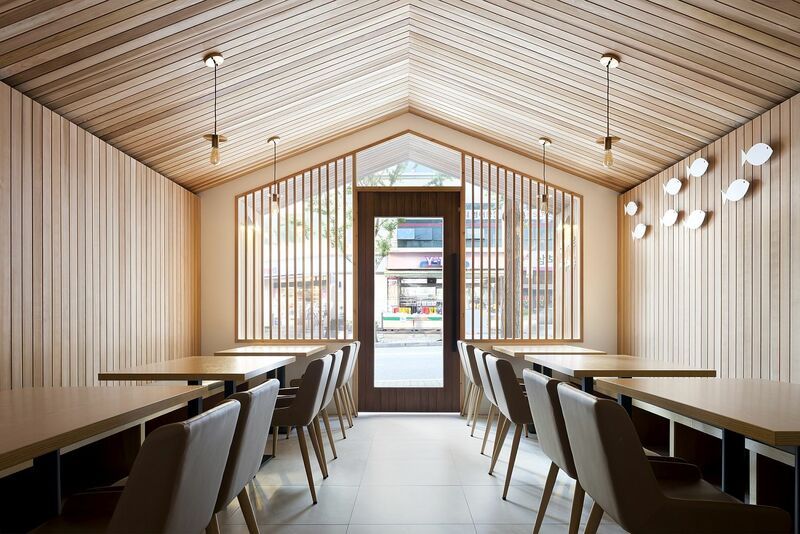 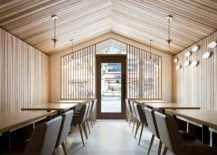 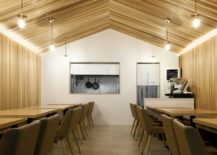 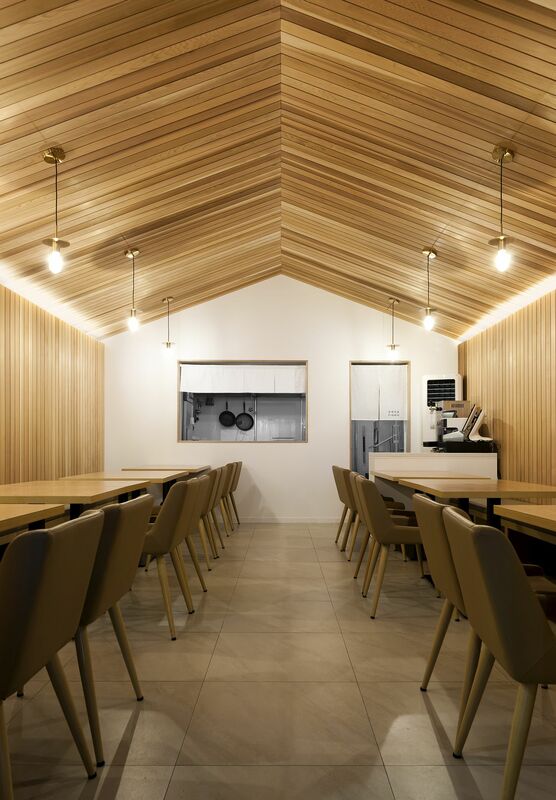 Despite the limited space, the interior feels spacious and cheerful thanks to the use of a gabled roof design that also gives the restaurant a rustic cabin vibe. 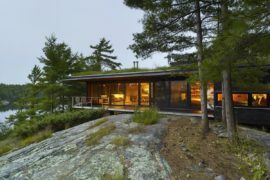 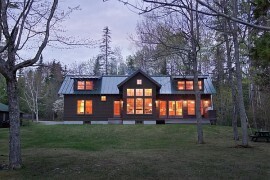 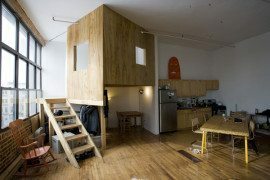 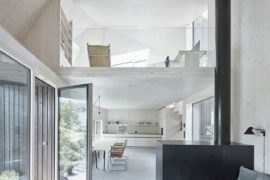 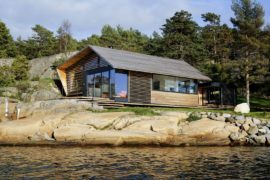 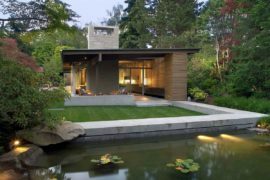 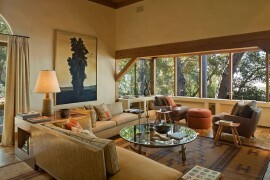 Since the space between the street and the cabin is not significant, architects used a brick and wood façade that keeps out most of the noise while painting a picture of serenity. 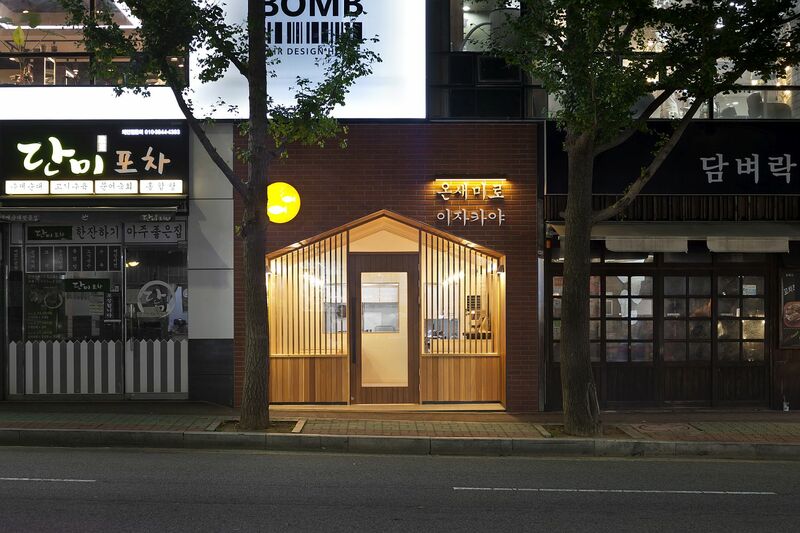 In front of the site, there were narrow sidewalks, bicycle paths, four lanes, and two large trees. 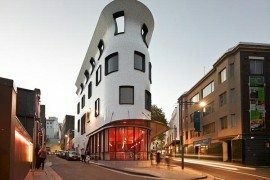 Those things were not creating a pleasant atmosphere for pedestrians. 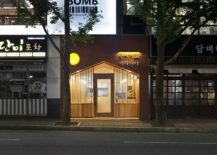 In addition, there were gloomy pubs on both sides of the site, which made me feel depressed while walking up and down the street, especially during the evening hours.